Thanks to the fantastic weather that is afforded in Los Angeles, there are a lot of outdoor shopping areas throughout the city. 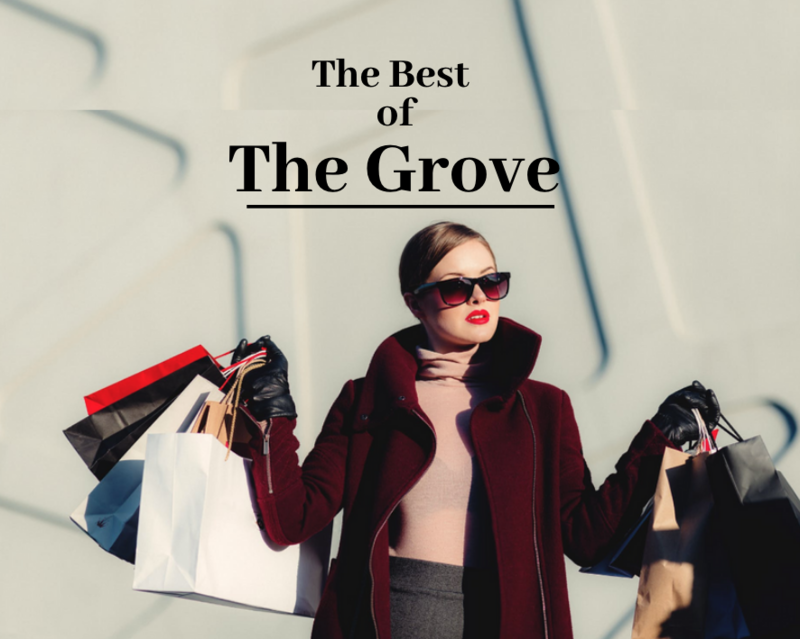 When it comes to the best shopping streets in los angeles, locals will agree that The Grove should be added as one of the best outdoor shopping areas in LA. For more info on the Grove, read on! Due to all that the Grove offers, it often can become crowded. However, this shouldn’t stop you from enjoying this beautiful, outdoor shopping experience. Consider beating the crowds by doing your shopping early, as the area open at 10am. Amidst the bustling area there is also an old timey trolley that can take you around the area. It is a fun experience for novelty’s sake and the whole family can enjoy the opportunity to get off your feet while enjoying the view. While the area offers you a number of eating destinations, consider eating at 189 by Dominique Ansel, the man who created the Cronut. Or, enjoy indoor and outdoor seating at Laduree, the perfect place for some French cuisine, offering breakfast, lunch and dinner menus. Fountain Bar is another location to keep an eye out on. They offer California fare alongside delicious and creative cocktails.